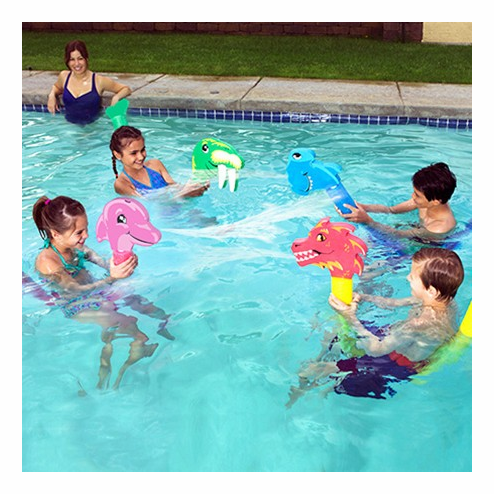 Squirt, play and float away on the SwimWays Aqua Rider Squirter! Kids will have a blast riding this fun new pool noodle toy that also squirts water. Each noodle has a soft foam character head and tail, and a built-in squirt gun that shoots water out of the character's head - simply press the trigger on the band underneath the base of the head to operate. Characters include Hammerhead, Dolphin, Dragon, and Walrus.